Feature Box – This shortcode was used to display Feature Box into various style. Title – Enter The Section title here. Set The Title as a link – This is an option for feature box title as a link. Enable yes to set title URL. Title Heading Tag – Here you can Title tag(h1,h2,h3,h4,h5,h6). Title Color – Here You can Change Title color. Text Transform– You can change here text. transform(upper,lower,capitalize). 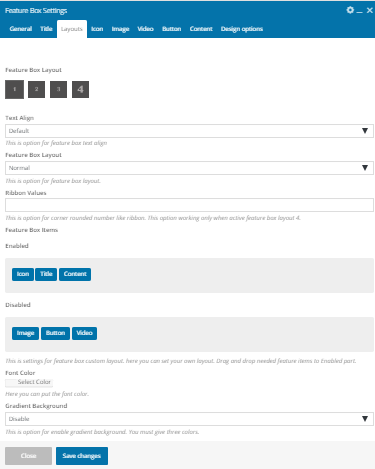 Feature Box Layout– Here You can change the layout. Text Align– Here You can change the alignment. Feature Box Layout– Here You can change the layout. (Normal, grid). Ribbon Values – This is an option for a corner rounded number like a ribbon. This option working only when active feature box layout 4. 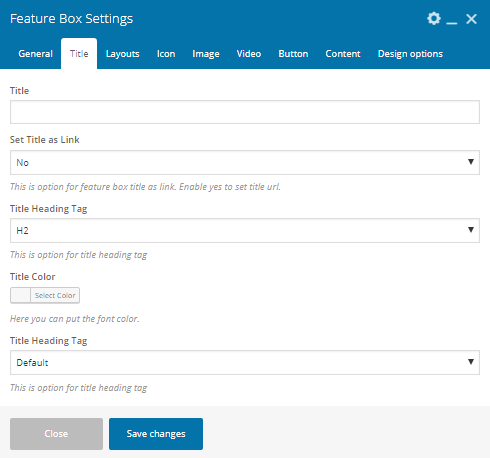 Feature Box items – This is settings for feature box custom layout. here you can set your own layout. Drag and drop needed feature items to Enabled part. Font Color – You can change the text color. Gradient Background – This is an option for enable gradient background. You must give three colors. Icon Verticle middle – This is an option for feature box icon set vertically middle. Border Hover Color – Here you can choose icon border hover color. Feature Box Image – Choose feature box image. Image Style – Here you can change the image style (Square, Rounded, Circled ). 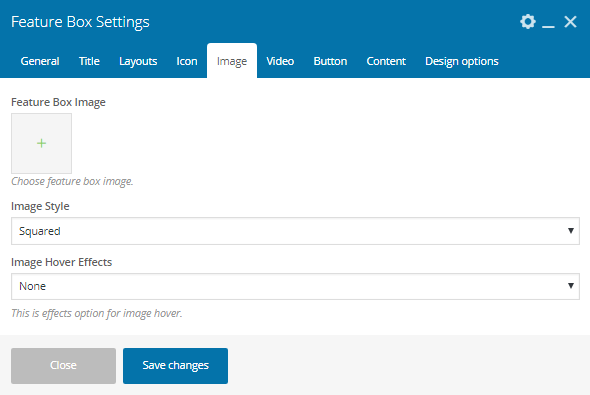 Image hover Effects – This is effects option for image hover. Button Text – This is an option for pricing button text. Button URL– This is an option for pricing button URL. Button Type – This is an option to change button style.